Talk of maverick filmmakers often revolves around players from the current American independent movie scene, John Sayles, Steven Soderbergh and Kevin Smith, to name a few. In fact, we refer to this trio as “indie” veterans; directors who can discuss the beginnings of contemporary alternative cinema (the 1980s) with firsthand knowledge. Shannon Davis, senior vice president of original production Turner Classic Movies (TCM), directs and produces the documentary mini-feature “Edge of Outside,” a celebration of early mavericks: Orson Welles, Stanley Kubrick, Nicholas Ray, Samuel Fuller, Sam Peckinpah and John Cassavetes. 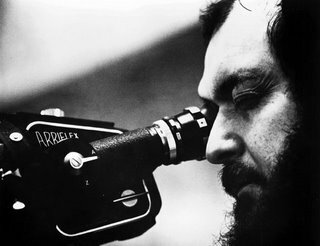 Before there was a Sundance Film Festival and Miramax Films, back before the digital revolution and inexpensive digital cameras and multi-hour cartridges, filmmakers like Kubrick and Ray worked within the studio system and yet, still managed to make distinct movies that spoke to their own interests, talents and personalities. Like all historical documentaries, “Edge of Outside” thrives on its archival footage and face-the-camera interviews from various opinion makers. Filmmaker Martin Scorsese provides welcome passion and heartfelt enthusiasm. Actress Gena Rowlands discusses her husband John Cassavetes with warmth and love. John Sayles, director of modern-day landmarks “Lone Star” and “The Return of the Secaucus 7,” helps bridge the gap between past and the current “indie” scenes with thoughtful commentary. Repertory cinemas that play film classics are a thing of the past for many people. So TCM steps in with a calendar of “maverick” films throughout July. If you want to fully understand alternative cinema today, it’s essential to acquaint oneself with the mavericks that came earlier. One way to avoid an oncoming speeding car is to leap over its trunk and sprint over its roof. It’s an acrobatic feat reserved to select street heroes like Leïto (David Belle), a young man trying to rise out of his Parisian ghetto, and his unlikely partner, Detective Damien (Cyril Raffaelli). A vicious drug lord named Taha (played by the film’s co-writer Bibi Naceri) has a deadly bomb directed towards central Paris. He also has Leïto’s young sister held captive. It’s up to the mismatched duo to infiltrate B13, a walled slum on the outskirts of Paris with no schools, no police and no post offices, find the bomb, free the girl and save the day. Grim, violent, but infused with the playful spirit of a comic book, “District B13” offers straight arrow stunts and no-nonsense fighting that explodes in a worthy rooftop finale. Director Pierre Morel, a veteran cameraman making his directing debut, may lack the special effects budget of his American counterparts but he beats them at wowing audiences. French filmmaker Luc Besson produces in addition to his co-writing duties with Bibi Naceri. David Belle, the champion of parkour, a sport based on surmounting all obstacles at top speed, makes for a glum hero whenever he’s standing still but luckily he never stops moving. Cyril Raffaelli, a veteran stuntman, complements the dour Belle with equal agility and extra sass and charisma. The spirit of John Carpenter, the creator of “Escape from New York” and countless other B movies, is alive and well in “District 13” and that spirit beats Hollywood pizzazz every time. “District B13” made its North American premiere at the 2005 Toronto Film Festival after playing theaters throughout Europe. Magnolia Pictures will release it in theaters across America this summer.